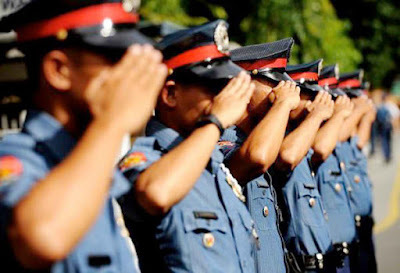 The Non-Uniformed Personnel Affairs Division of the Philippine National Police is now accepting applicants online through Recruitment Online Application System (ROAS) for PO1. This is for CY 2017 PO1 Recruitment Program.. Please be informed that the Recruitment Online Application System is a web based and central recruitment application system that will simplify the submission of accomplished PNP PO1 Application Form. it will also address queries regarding the recruitment process. Further, this system will greatly help applicants to minimize the hassle or stress in applying to become a police officer. You may apply thru http://rsd.pnp-dprm.com/recruitment.htm on our opening date..
1. You need a scanned copy of your 2x2 Colored Picture with Name Tag, scanned copy of your TOR/DIPLOMA and scanned copy of your Eligibility.. You will upload this as a reference for our Recruitment Officers..
2. A working e-Mail address is mandatory, you can't apply when you dont have one..
3. Strictly no more walk-in applicants..
4. The website will be active on Feb. 1, 2017..
5. This will be implemented NATIONWIDE..
For inquiries and concerns, you may send us a message here or call us at (02)723-0401 local 4211..